Hello from the Academy! 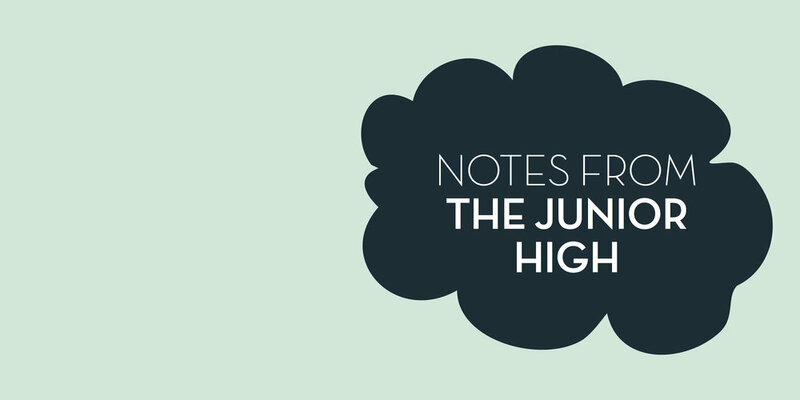 Welcome to our new weekly blog where we share what we’ve been working on in junior high. Let us know what’s happening with your middle schooler in the comments! Coming back from spring break is hard, but at least we’ve had some sunshiny “spring is coming!” days this week. I had my annual “I’m stuck in metro Atlanta traffic and may not make it to school in time for class” morning (one of those mysterious jams that come out of nowhere, last more than long enough for me to strike up a “do have any idea what’s going on?” conversation with the driver in the next lane, and melt away again for no apparent reason), but it all worked out okay. This week in our Critical Thinking warm-up we started talking about scams, including 419 scams (a.k.a the Nigerian Prince and/or Spanish Prisoner scam), catfishing, and phishing. This generation is fairly well versed in the ways of spam and all the other methods that people use to separate the unwary from their cash (or, these days, their financial info and social security numbers), but it never hurts to review the classics! And as usual, on Wednesday, the students divided into teams for logic problems, our current puzzle source of choice being Puzzle Baron’s Logic Puzzles, Volume 2 (which starts out with lots of nice easy ones for beginners). For Math we broke into our smaller groups, with one group reviewing decimal multiplication and division, and another group reviewing the basics of solving equations, using the additive and multiplicative properties of equality to solve for x. I was annoying my students by bouncing around the classroom cheerfully, but algebra is just so much fun, right?!? In World Literature we’re visiting our final continent of the year: South America! I’m excited because we’re reading one of my favorite South American authors, Isabel Allende. Amy said that I wasn’t allowed to make the middle schoolers read The House of the Spirits, but fortunately Allende has written a children’s/YA novel, City of the Beasts. We’ll be reading that over the next four weeks. In grammar (much less exciting than Allende, granted), we’ve finished up our section on prepositional phrases and are practicing subject-verb agreement, especially in sentences with compound subjects (My friend and I work at the school.) and inverted sentences (Out of the shadows lurks my cat.). With all the fossil excitement in Biology, we didn’t get to quite as much Cultural Geography as usual, but the students did get to watch a short documentary introducing the indigenous cultures (the Maya, Inca, etc.) of South America. Unfortunately, the school budget doesn’t extend to a field trip to Machu Picchu, but we can dream!